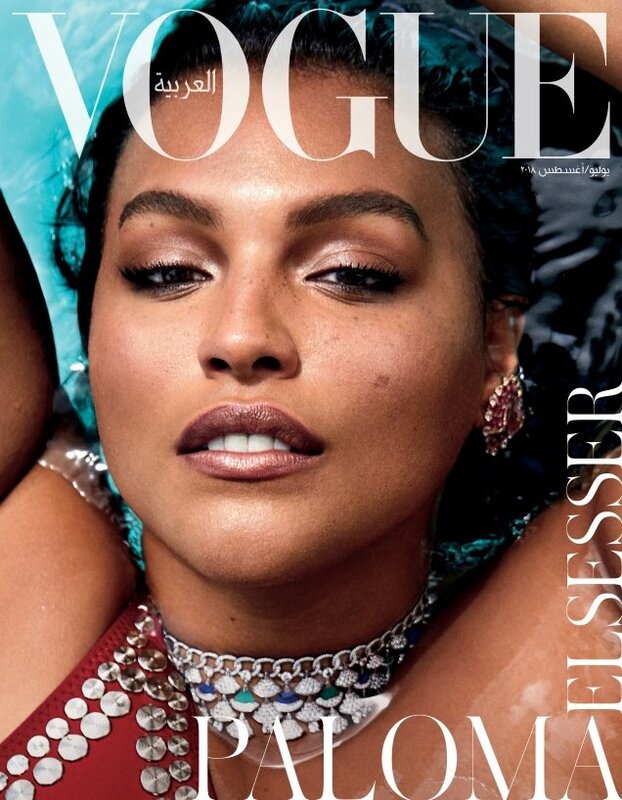 Vogue Arabia may be the most risk-taking magazine on the newsstand right now. 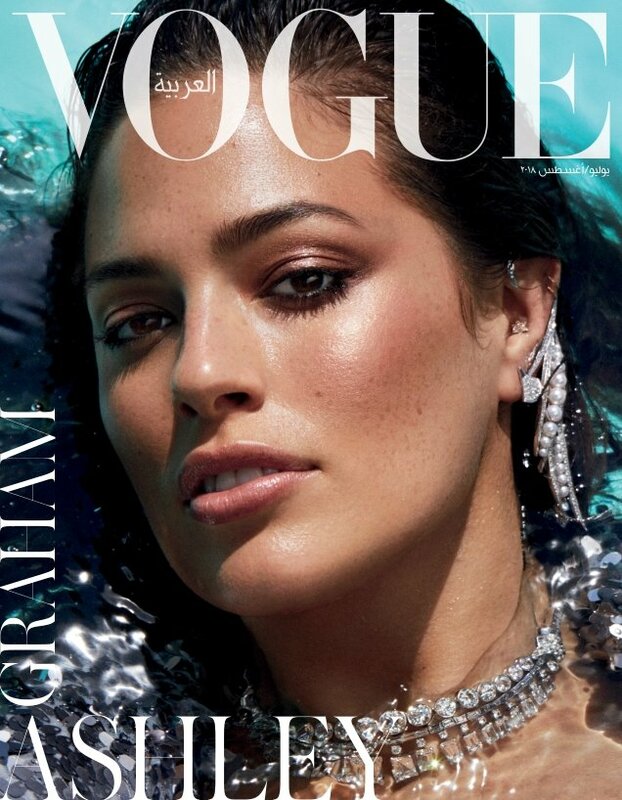 After making a huge political statement with last month’s cover, the fashion glossy continues to break down barriers with July/August 2018 cover girls Ashley Graham and Paloma Elsesser. 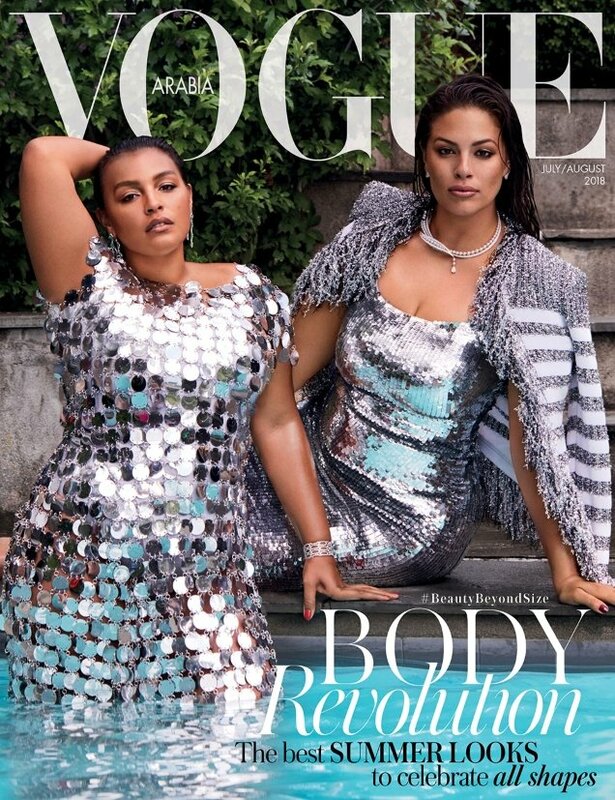 Photographed by Miguel Reveriego and styled by Anya Ziourova, the girls go high-glam, with Ashley wearing a sequined Balmain blazer over a sparkling Oscar de la Renta dress while Paloma dons a glitzy Paco Rabanne number in the shared cover image (below). In addition, each model stars on her own cover, serving good face in the closeup images (after the jump). Surely our forum members loved it, right? Not so fast. “What could’ve been a stunning cover was ruined by the jacket Ashley is wearing, probably to kowtow to custom, and the unnecessary model in front. There’s just too much going on, AND in sequins,” commented Benn98 straight away. “I can’t believe these are real covers,” slammed bluebanter. “God these covers are awful. The styling on the first screams tackiness (and awkwardness), and the solo shots are too close,” said forum member 333101. “I don’t like the crop of the solo covers, especially Paloma’s. Her arms around her face look weird,” pointed out celloiof. “Paloma’s cover is stunning,” raved rubydon. Are you here for Vogue Arabia’s latest? See more from the cover shoot and join the conversation here.